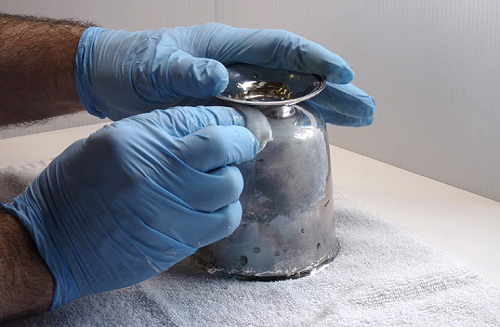 The next time you run out of silver jewelry cleaner, try a can of WD-40. A cheap alternative, WD-40 does a perfect job of cleaning and polishing your jewelry and silverware items, preventing them from tarnishing even when in storage. Just spray the silver areas with WD-40, and polish them as usual.